Proven, progressive leadership for the heart of Minneapolis! I’m running for 3rd Ward City Council because I love this city, and I want to do my part to make it even better. Minneapolis is already the best city by a lot of measures, and I want us to build on that success and shoot higher. Together, we can build a city where people who work can afford to live, where anyone can get around easily on foot, bike, and transit, and where we celebrate our city’s diversity and include everyone in our city’s prosperity. After November’s election, the work feels a little harder. Cities will be the only place where real progressive victories are possible in the next few years, and it’s our opportunity and responsibility to demonstrate the potential of a progressive vision for the future and provide a contrast to the destructive and short-sighted Republican agenda. The best way to resist Trump’s divisiveness is to make Minneapolis an amazing city for EVERYONE. The 3rd Ward City Council seat is a resource that belongs to everyone who lives in the Ward, and I’m asking you to send me to represent you in City Hall so that I can work with you to improve the quality of life for everyone in Minneapolis. Steve Fletcher is an accomplished technology professional, researcher, and community organizer with a strong reputation for bringing people together to solve problems and get things done. An entrepreneur by nature, Steve started his first business – a small video production company – in the Warehouse District in 1995. That tiny office marked the beginning of Steve’s decades-long investment in the community of Ward 3. Raised in a union household with strong social justice values, Steve has built a life and career grounded in a deep commitment to racial and economic justice, and the transformative potential of grassroots organizing. As someone who has worked in the arts as a video and film producer, as the son of two music teachers, and as the spouse of a working artist, Steve knows that our neighborhoods need creative energy to thrive. As someone whose career accomplishments include leadership roles in business and in non-profit advocacy and organizing, Steve knows that our city needs pragmatism and broad public engagement in order to end racial disparities and ensure a sustainable quality of life for all of the Third Ward’s residents. 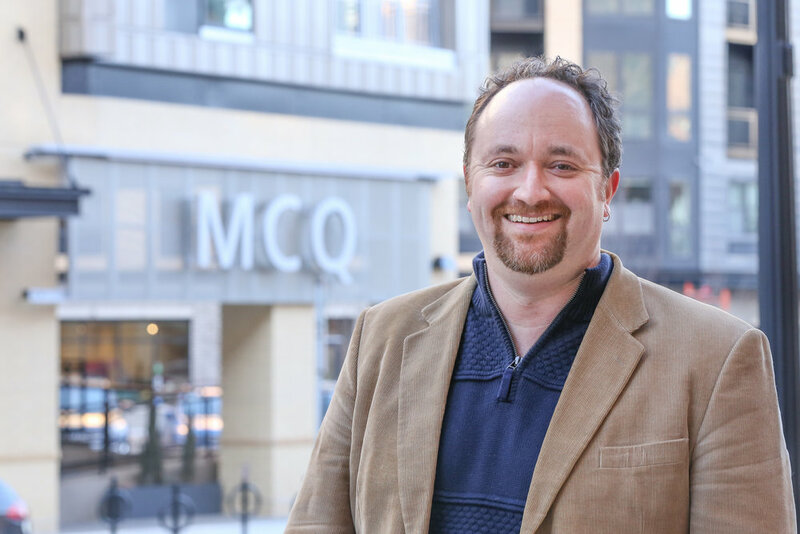 In 2010, Steve served as the founding executive director of MN Neighborhoods Organizing for Change – a local grassroots movement-building hub that has gained national recognition for its justice-based organizing and policy wins. While Steve led NOC, the organization played an important role in the campaigns to defeat the discriminatory marriage and voter ID amendments in 2012, and launched impactful local campaigns around guaranteeing quality, affordable housing in Minneapolis and renewed investment in community public schools as a proven strategy to address racialized achievement gaps. For his work with NOC, he was named Grassroots Solutions' 2011 Organizer of the Year. He also served as Executive Director of Minnesota 2020, a progressive think tank that under his leadership played an important communications and research role in the campaign to raise the state's minimum wage, among other issue advocacy projects. His consulting firm, founded in 2014, provided technical, communications, and strategic campaign guidance to a range of business, non-profit, and union clients. A proud graduate of the University of Minnesota's highly-regarded American Studies program, Fletcher went on to earn a Masters in Philosophy in American Studies at New York University, where he studied and taught Metropolitan Studies. He and his wife, Heather, live with their dog, Senator, in downtown East, where Heather runs her own small arts business and teaches at the Minnesota Center for Book Arts. A deeply rooted Ward 3 couple, Steve and Heather had their first date at the Sample Room and got engaged on the Stone Arch Bridge. “I've lived in Ward 3 for more than ten years; it is my home. I've known Steve Fletcher for five years, and I wholeheartedly believe he is the best choice for our city council person. I was door-knocking with Steve last night, and something that struck me is how he listened to each person, and drew out from them what they cared about, and the ideas they have for a thriving Minneapolis. "Fletcher, we found, has the most comprehensive and realistic plan to attack [affordable housing] starting with updating the zoning code, increasing density and granting tenants more protections. 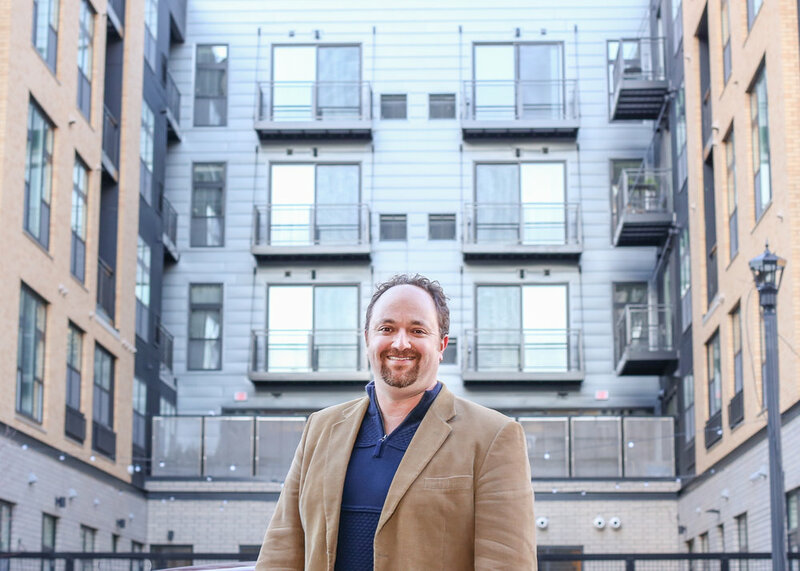 His integration of other policies into housing plans, such as updating the public transportation system, creating networks for residents to access City Hall, and making himself accessible to his constituents, sets him apart from other candidates." “I’m someone who was raised union and has actively put my job on the line and went on strike... I will be some- one who knows the power of collective bargaining. I think it’s centrally important that the city be a good city for working people and I’m looking forward to working with unions to empower more workers." "The convention ... gave the DFL endorsement to Fletcher, a community and labor organizer who clearly had the best-organized campaign. The founding executive director of Neighbors Organizing for Change, Fletcher counted support among labor and community activists that he has worked with in the past. His endorsements include the SEIU, UNITE-HERE, and the Teamsters as well as other union organizations. He’d also been endorsed by Our Revolution, the political organization that emerged from the Bernie Sanders campaign; and Stonewall DFL, the party’s LGBT caucus." “If you look at what’s happening in our neighborhoods, we’re building great housing. It’s walkable, it’s dense. But we’re also not building as much affordable housing as I’d like to see,” [Fletcher] said.